I will post my review of this book tomorrow. I have to warn you though, it's really snarky. I feel both bad and empowered about that at the same time. "For some reason, all the big, scary monsters are terrified of bubbles." This book is a trip. The read aloud potential here is quite high. Big Bad Bubble in my opinion is much more entertaining than Rubin's other recent efforts, Dragons Love Tacos and Secret Pizza Party. 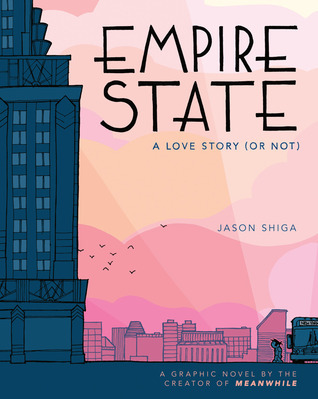 In fact, I enjoyed this book so much, I was browsing the picture book shelves at my local indie bookstore and promptly bought it because I knew I wanted to own it. "I'd love to know how my great-grandparents celebrated when told they were free. But that tale has been lost to time, so I can only hope that this one will do." -- from the Author's Note. A beautiful text to use and study in an American history class. 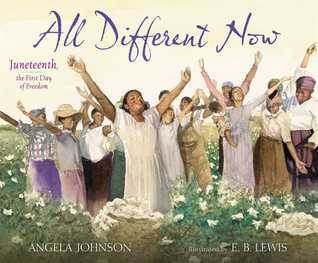 While textbooks fail to stir the imagination or any sort of emotion, a book like this will bring history alive. Don't miss the backmatter at the end. That's what makes this book such a worthy addition to any social studies teacher's classroom library. Holy bagumba! What took me so long to read this delightful book? Niki Barnes finally convinced me this past weekend that I needed to put this one at the top of my TBR pile and I'm glad she did. I have a young granddaughter who is much enamored of monsters, so Big Bad Bubble will be a book I'll be sure to find, Beth. And thanks also for All Different Now. I haven't seen it yet & it looks good. What a poignant quote. I wish she could have talked to them too! 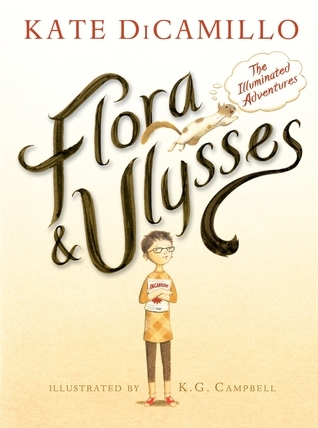 Glad you are enjoying Flora & Ulysses. Aaaah! I'm glad you've had fun playing in the sandbox! 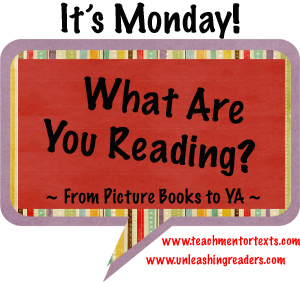 Are you doing #48HBC and #bookaday? More fun ways to connect to the kit lit community! Grateful every week for IMWAYR?! :) Big Bad Bubble sounds great, thanks! Enjoy finishing up Flora & Ulysses. Big Ba Bubble looks absolutely delightful! Oh my! 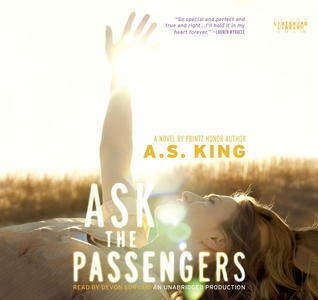 Enjoy Ask the Passengers - this was the first A.S. King title I read and boom, hooked as a fan instantly! I read Flora to my children as a read aloud. So much fun. We all adored it. I disliked Dragons Love Tacos so very much, I just don't know if I have another Adam Rubin title in me. But if I see Big Bad Bubble, I will give it a look based on your review. 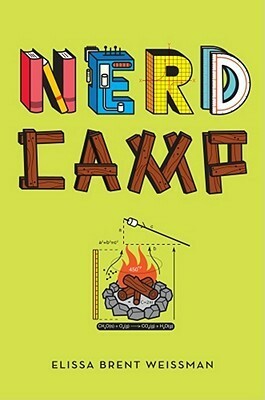 What did you think of Nerd Camp? I read it this week too. And I agree about the #imwayr community! I'm reading more than ever and enjoying more of what I read than ever--and that's because I have so many excellent book pushers in my virtual life! Did you post about Nerd Camp and I missed it? I would love to know what you thought! 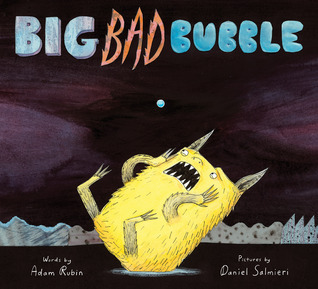 I have Big Bad Bubble ready in my #bookaday pile! Can't wait to start :) Hope you have fun reading Naked! I thought it would be silly, but I thought it ended up being clever! Very happy with it! No, I didn't post about Nerd Camp. It wasn't a terrible read for me, but I likely won't remember much about it a few books from now. It was quite a fluff read given the topic. Enjoy Ask the Passengers. 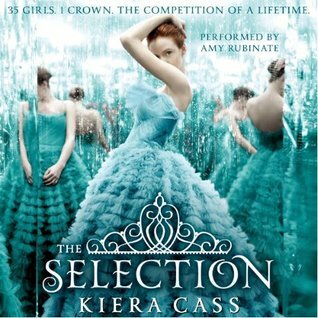 Such a wonderful book! Big Bad Bubble looks so so so funny! I hope my library gets it soon so I can read it. When you describe a review as "snarky" and making you feel "bad" and "empowered," you can be sure I am going to tune in. I can't wait! I hope you have a great week, Beth! I'm glad you shared All Different Now. It looks like an excellent way to explore that bit of history.